Mass times vary depending upon the activity at the Center. For specific Mass times, please call the Center at (316) 744-0167 to be added to our email notification list. Fr. Ken is a diocesan priest of the Diocese of Wichita, ordained in 1991. Graduating with a degree in Biology from Kansas State University, he attended Mount St. Mary’s Seminary. As pastor of various parishes in the Diocese of Wichita, he gained experience shepherding souls and cultivating the gifts of preaching, teaching, and healing. Currently he serves as director of the Spiritual Life Retreat Center and Director of Stewardship for the Diocese of Wichita. 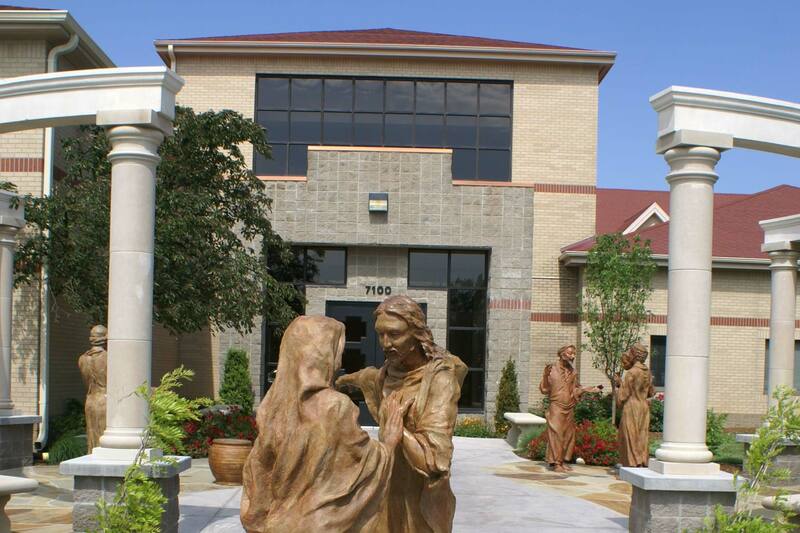 The Spiritual Life Center is a place of prayer. Here you will find a place to retreat from daily living, and a place conducive to quieting the soul. 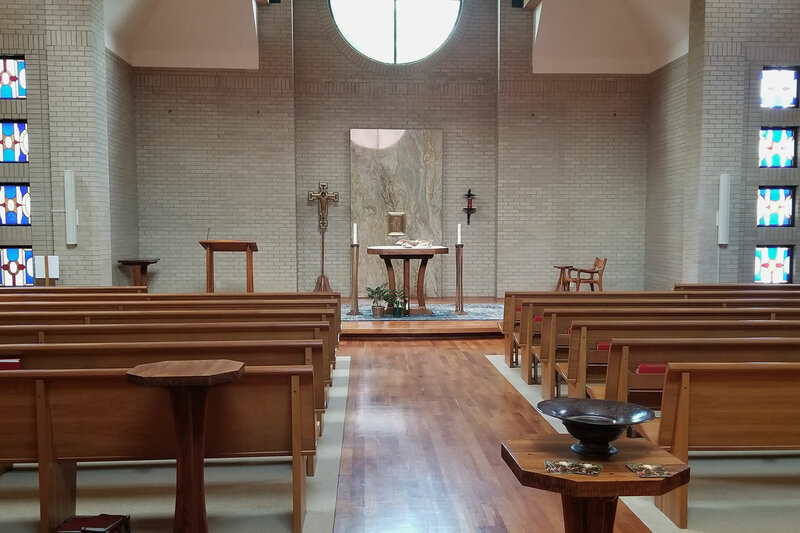 Chapel of Mary, the First Disciple is the primary chapel used at the Center for daily Mass and group prayer. 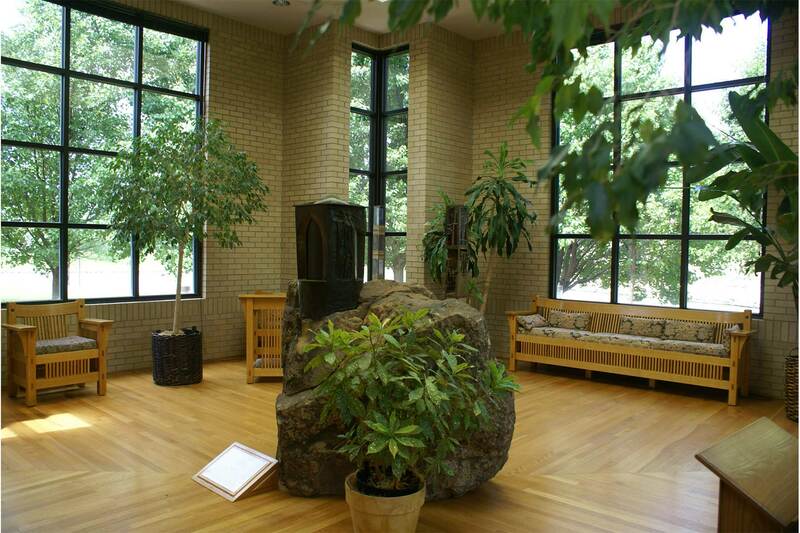 The secluded Blessed Sacrament Chapel is a place for quiet prayer and reflection. The Eucharist rests in a tabernacle on top of a huge rock of sandstone. This chapel is available at all times for prayer. At the Spiritual Life Center there are many talks and lectures about God and the Spirit, but often a slow walk in the woods allows us time to understand meaning of words and the Word made Flesh. The Spiritual Life Center features many maintained walking trails spread across 37 acres.